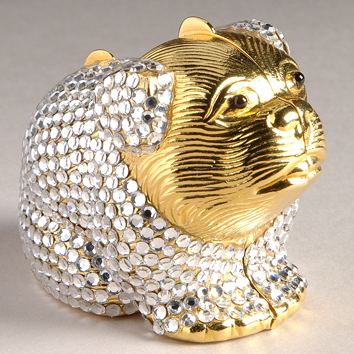 Judith Leiber created exquisitely designed couture women’s accessories that blur the boundaries between function and art. 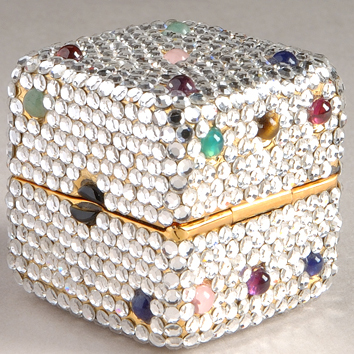 Most known for her semiprecious adorned minaudières or compact occasion cases, her creations also include day bags, belts, and pillboxes. 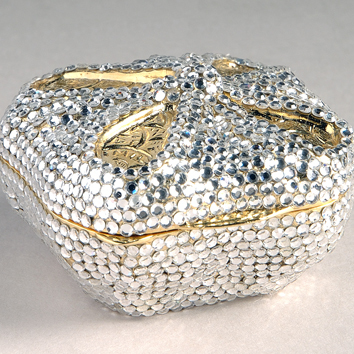 Judith Leiber (1921–2018) was born Judith Peto and was raised in an upper-middle-class Jewish family in Budapest, Hungary. In the late 1930s beginning with the Nazi occupation of Hungary, the family faced severe restrictions due to imposed anti-Jewish laws including limits on Jewish participation in Hungary's public and economic life. Interested in handbag design, Judith Peto began work as an apprentice at Pessel, the finest handbag company in Budapest, and it was a decision that sparked a lifelong career in couture bag design. In 1945, she met Gerson Leiber, an American GI stationed in Budapest and in 1946 they were married. The couple immigrated to the United States to make their home in New York. Between 1963 and when she sold the company to Time Products in 1993, Leiber had designed and fabricated nearly 4,000 bags. 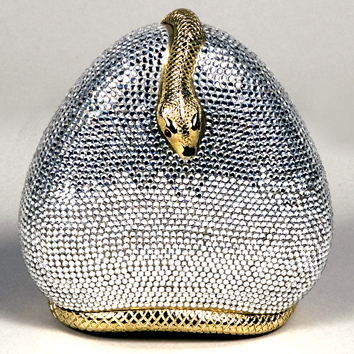 Although Leiber was no longer designing with the company after 1997, it continues to produce couture bags under her name today. Recognized for both her originality in design and impeccable handcrafted quality, Leiber imported materials for her bags from Europe and then constructed them in the United States. 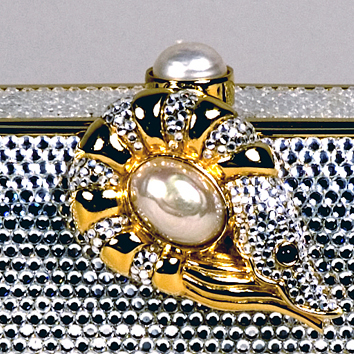 Beautifully detailed both inside and out, each tiny minaudière took months to hand fabricate with special attention paid to construction including the interior details and hardware. A single bag can weigh between one to two pounds or sometimes more. 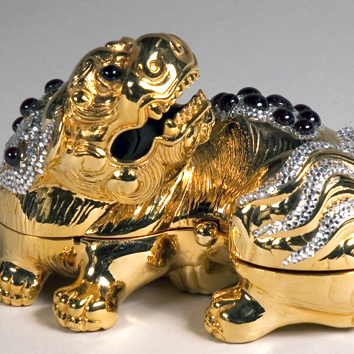 Attached one by one with tweezers, the bag’s “skin” is bedazzled with thousands of semiprecious stones and crystals such as garnets, carnelian, rose quartz, amethyst, and jet. 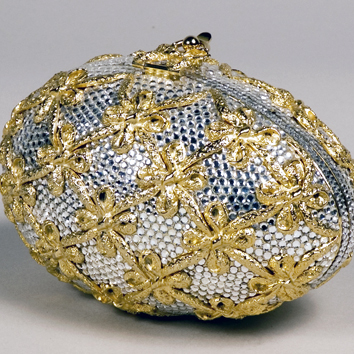 Each bag contains a tiny mirror and comb either fashioned in silver or gold metal and a change purse just large enough to hold a small object. Her designs range from the abstract to the whimsical. 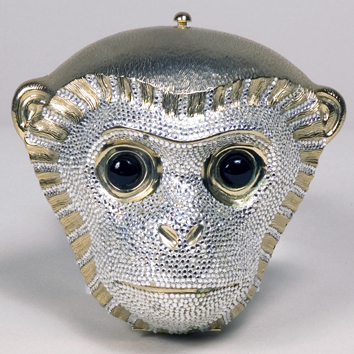 The bags on display celebrate Leiber's gold and silver works, highlighting her intricately sculpted gold- and silver-plated minaudières, clutches, and pillboxes which convey her inherent talent for sleek design. 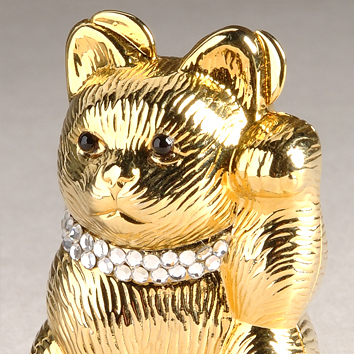 Leiber’s creations are owned by museums across the globe including the Metropolitan Museum of Art, the Smithsonian Institute/National Museum of American History, and the Victoria and Albert Museum. 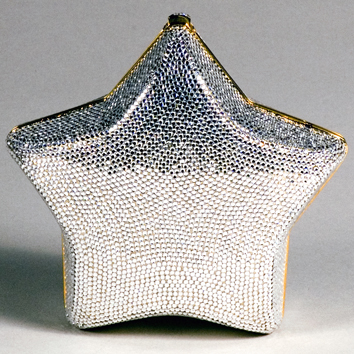 Considered luxurious collector items, her bags have been acquired by many celebrities as well as being commissioned by almost every First Lady of the United States. 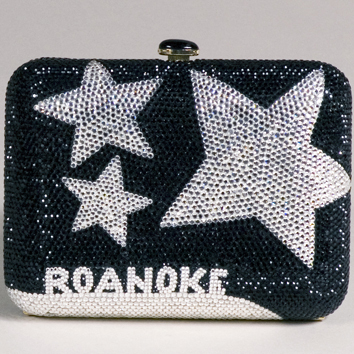 The Leiber bags on view in the Shaftman Gallery are the result of the immense philanthropic generosity of a Roanoke-based couple, Sydney and Rosalie Krisch Shaftman. 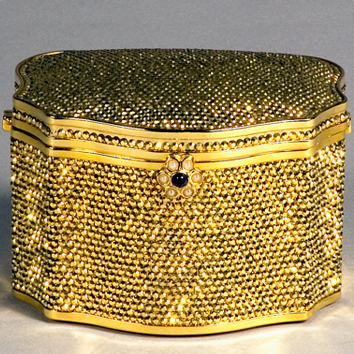 Sydney Shaftman gave his wife Rosalie a Leiber minaudière in the 1980s, which began the collection and resulted in gifts from 2005 to 2008 of nearly 120 minaudières and pillboxes to the Taubman Museum of Art.